Isles AirCleanâ„¢ workstations are engineered and manufactured with attractive contemporary styling and the highest quality construction. Recommended for any Class 100 requirement that does not produce by-products that can contaminate the worker or production area. Available as either vertical or horizontal flow models. 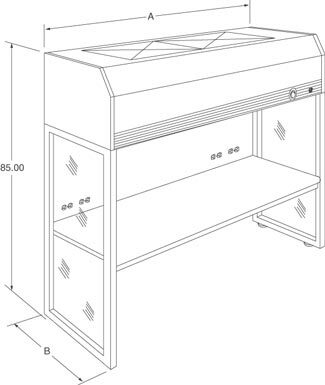 These specialized workstations are constructed with cold rolled steel for durability and finished with powder coating for long lasting performance. Standard table tops include cleanroom seal. 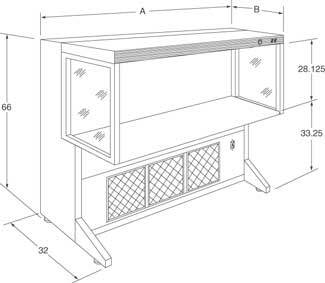 Standard Lengths: 49.5" to 98"
Standard Depths: 26" to 46"
Standard Heights: 66" or 85"